One of the best features of Windows 8 is that it allows you to store all your contacts in one place. This means you can link your e-mail, Linked-in, Facebook, Twitter and Google+ contacts in a single list. If you want to access this programatically, it’s surprisingly simple. I’ve already blogged a few times on using monogame with XAML. One thing that occurred to me recently was that I could leverage this in order to better control when the ad control appears in one of my games. Basically, my idea was that I could bind the main game page to a model, which determined whether the ad would be displayed. 1. Yes, I could have simply instantiated the viewmodel at the start of the app. 2. Yes, it is static. This is so you can access it elsewhere. <UI: AdControl x: Name ="adControl"
// Updating the view model here! So, nothing new here, but using binding inside Monogame didn’t occur to me immediately, so there must be a least some people in the same boat. This entry was posted in C#, Game Development, Monogame, XAML and tagged c#, DataBinding, Games, Monogame on March 7, 2014 by pcmichaels. Some time ago, I blogged about the importance of creating a “Monogame With XAML” project. Before I’d written this, I’d started a long running project, and realised that I needed XAML (for reasons already indicated). So, is it possible to convert? YES! Is it easy? Actually, it’s not too bad; but to save anyone else (and my future self) the hastle of working out how, I’ve broken it down into 7 easy steps. (Below, MyGame refers to your game namespace). 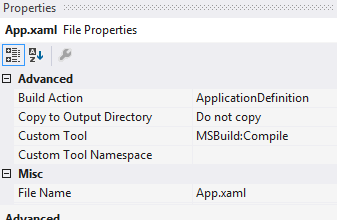 If you’re unsure about what to put in here then just create a blank store app and lift this file. This should link the whole thing back to your initial GameEngine that MonoGame uses. 7. Finally, locate Program.cs and either comment out the code, or just delete it. You should now find that your game runs exactly as before, except you now have XAML capabilities. Please feel free to add any comments for anything that I might have missed, or improvements you may have on this process. Also, feel free to leave comments such as: “Yes, this worked!”. This entry was posted in C#, Game Development, Monogame, XAML and tagged c#, Games, Monogame, Windows Store Apps, XAML on March 1, 2014 by pcmichaels.